In College? 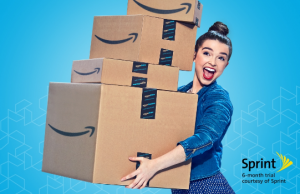 Sign up for Amazon Prime Student! Are you a new college student out there!! Did you know that College Students Get a 6 Month Amazon Prime Membership for FREE? This is a deal EVERY student should take advantage of! Amazon offers anyone with a valid .edu email address a FREE 6 month trial of Amazon Prime Student. This trial will give you access to the FREE two-day shipping as well as streaming thousands of TV shows and movies! Plus, once your free 6 months are over. If you don’t cancel, you will automatically continue this service for a $49 per year fee! That is half the price of regular Prime.